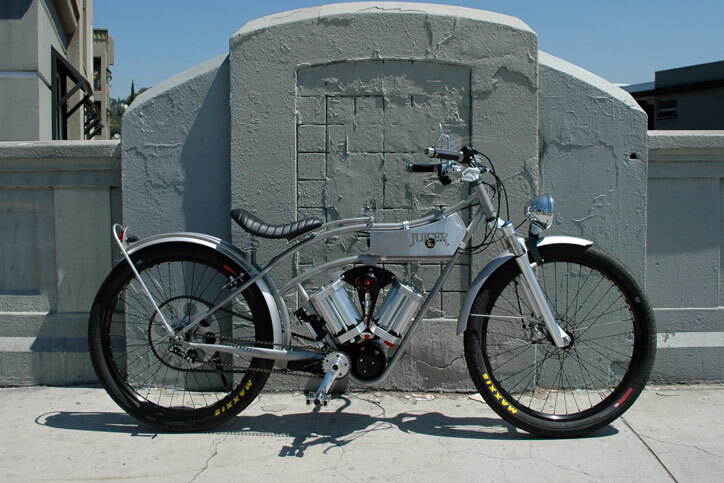 Juicer 3kW is an electric bicycle concept made by Juicer Electric Motorbicycles, before it the custom shop produced the Juicer48. But the concept is much better, more powerful with the latest technology, even in a classic figure. The concept is still displaying the characteristic design of David Twomey with the Twin EV batteries and fake tanks containing motor controller is still in place. The electric motor is placed in mid-drive. 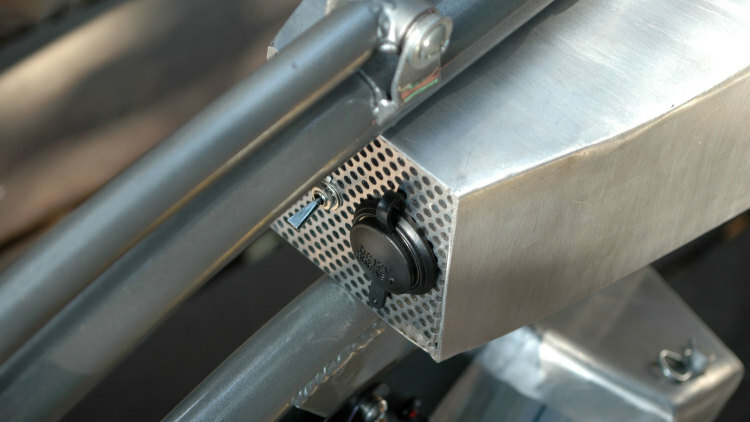 But handmade frame made of cromoly is now possible to put shock absorber than springer as its predecessor. Now, it weighs only 36 kg thanks to the use cromoly and aluminum components. The weight including the 720 Wh battery, which is enough to travel as far as 48 km. Cell batteries made of lithium iron phosphate (LiFePO4) are more efficient but safe. 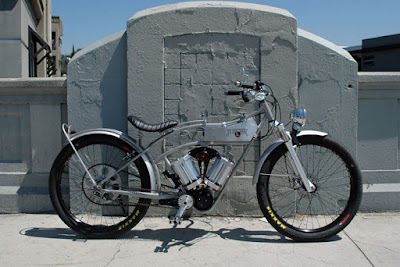 The Juicer 3kW considered a motorcycle when referring to the regulations of California, because the its motor powered up to 2.98 kW and has a speed over 48 kph. 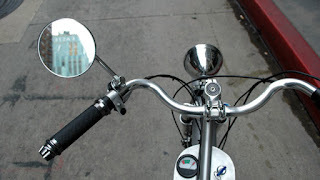 Then if we driving the 3kW should has motorcycle driver's license and wearing the DOT helmet. For that the 3kW equipped the LED for its headlights and taillight also 110dB horn.